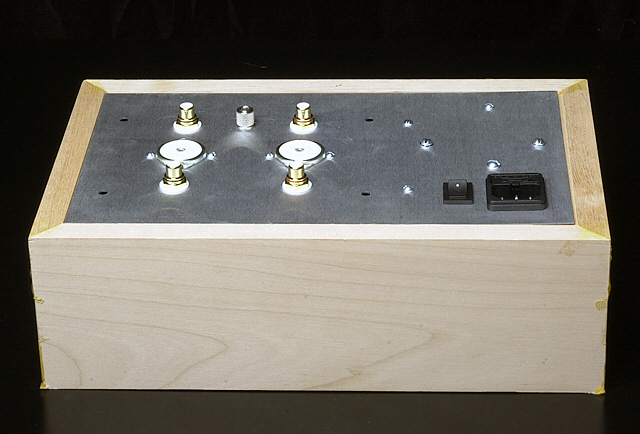 Using a 3/4″ or 1″ wide “painters tape”, tape over each seam where the chassis plate meets the wood base. Extend the tape down the side of the wood base to help keep the tape in place. Then add a couple more strips across the chassis plate for insurance. The painter’s type masking tape will leave no residue and will not harm painted finishes. 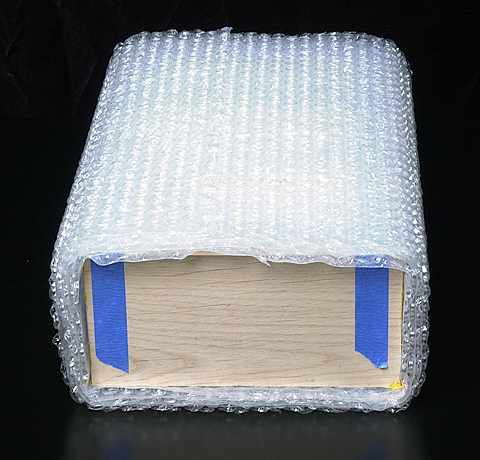 Wrap the amp or preamp with 12″ wide bubble wrap, around the 10″ long sides. I use an 8 foot length of bubble wrap to create several (like 3 or 4) layers. 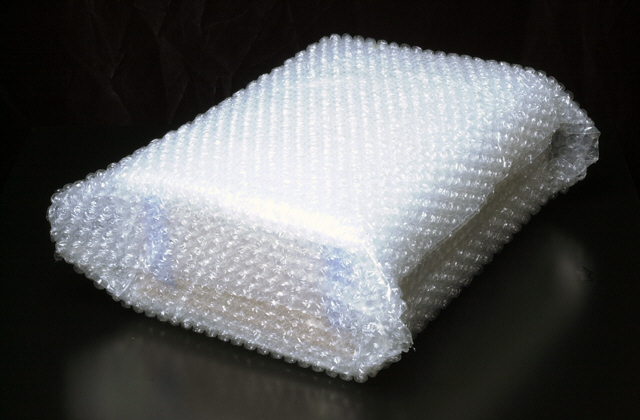 Here you see the Seduction wrapped with our special high tech adhesive bubble wrap. Plain old non-sticky bubble wrap and some scotch tape will work just about as well. Next I wrap perpendicular to the first wrap, around the exposed 6″ or 8″ ends and over the top and bottom with about 6 feet of bubble wrap. 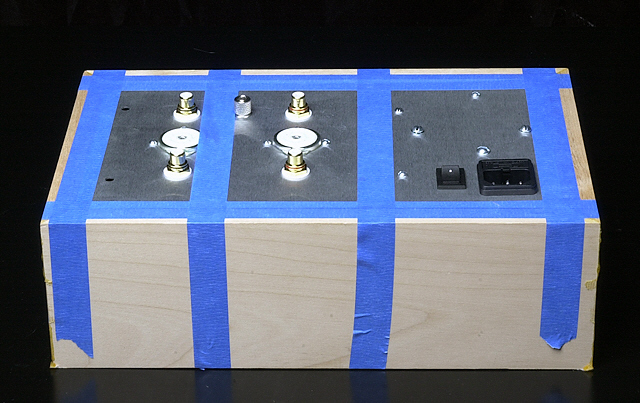 The idea is to build up a good cushion all over the amp while sealing the open bottom of the chassis. This neat package just happens to fit into our standard 12″ x 8″ x 10″ ForeplayIII/S.E.X. kit/Seduction shipping box quite snugly. Amps will usually fit back into their 12″ x 12″ x 12″ boxes quite easily. In fact they will probably require some additional packing material in the form of packing peanuts, crumpled kraft paper, etc. A hot tip for amps is to put them in the box upside down. This keeps the transformers from stressing the chassis plate when the box falls off the dreaded 6 ft. drop at the end of the UPS conveyor. If you’re packing a preamp or amp to send to us for repairs, don’t forget the tubes, the power cord, and a description of what is wrong with the kit, like “LEDs don’t light”, “no sound from right channel”, etc. 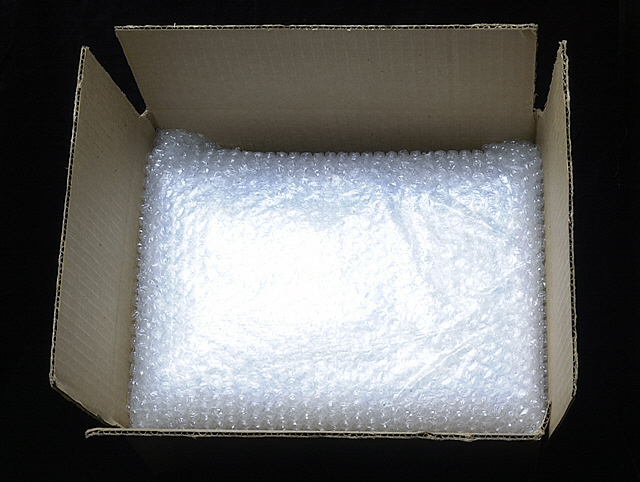 Some bubble wrap around the tubes, even if in boxes, is a good idea. And if you’re packing an amp or preamp or sale, be sure to include the manual!